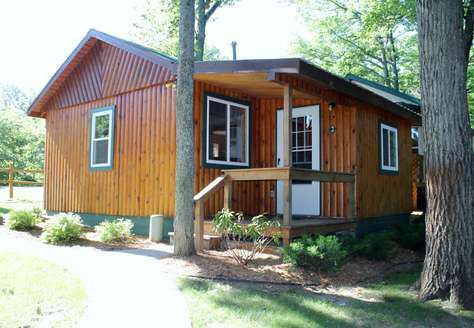 A fully renovated and redecorated 2 bedroom 1 bath cabin. 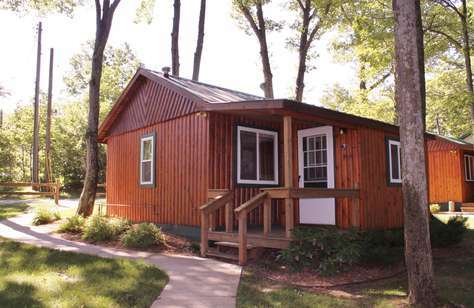 We refer to cabin 2 as the "RED" cabin. Equipped with four full size bunk beds built in to each of the private bedrooms and a full size sleep sofa to comfortably accommodate a maximum of four guests. Included are linens & towels, dishes, cookware and a 42" TV. Everything is new, including the furnishings & appliances. 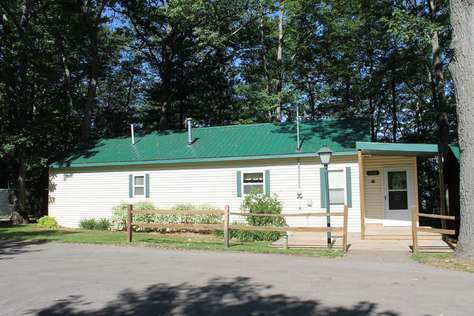 Cabin is fully renovated with new furniture, appliances, cookware, dishes, linens, towels and a 42" TV with cable. Bedroom 1 has a full size bed, bedroom 2 has twin bunk beds and the sleep sofa pulls out to a full size bed. 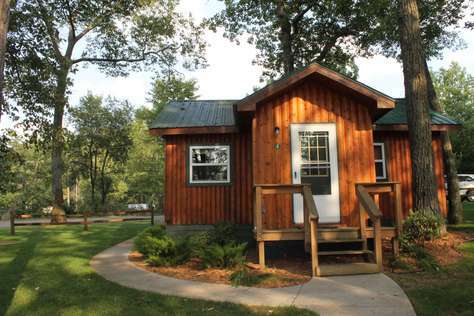 All the makings for a great getaway in Northern Michigan. Additional fee of $20/per person will be charged for unauthorized guests.